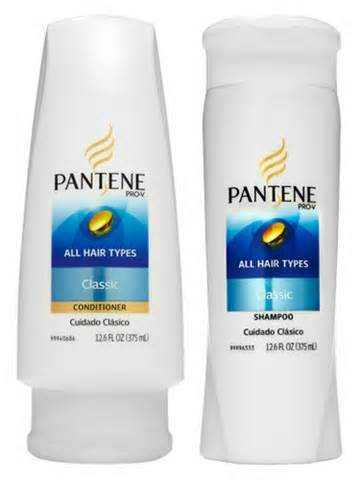 Head over to your local Rite Aid this week and look for Pantene shampoos and conditioners to be on sale for 2 for $7. If you buy 2 and show your Rite Aid rewards card at checkout, you will get a $2 coupon (called +UP Rewards) to use on your next purchase at Rite Aid – so your price for 2 bottles of Pantene just went down to 2 for $5. There was a coupon in last Sunday’s paper for $1.50 off 2 Pantene products. If you have that coupon and use it, you will pay $5.50 for two bottles, and get $2 +UP Rewards, making the final price 2 for $2.50! Or even better, you can click here and get a printable coupon for $2 off 2 Pantene products and pay $5 for 2 bottles, and receive the $2 +Up Reward for your future purchase! In my local Rite Aid today there were peelies (peel off coupons stuck on the bottles) for $1.00 off any Pantene purchase. I used the peelies on each bottle and got 2 bottles for $5, and then got the $2 +UP Rewards, making my final price 2 bottles for $3.00, or $1.50 per bottle! Minus $10 +UP Rewards from last week. Makes total price $0. The receipt printed out with $4 in +UP Rewards for a future purchase. I walked out of Rite Aid with 4 bottles of Pantene products and $4 to use on a future shopping trip.